Hammer Films' Dracula tales are most remembered as vehicles for Christopher Lee, so some people are surprised to find out that the first sequel to Horror of Dracula was a film in which Dracula is already dead, Lee did not appear, and a rather unintimidating little man named Baron Meinster serves as the main masculine vampire. Alas, it's all true. 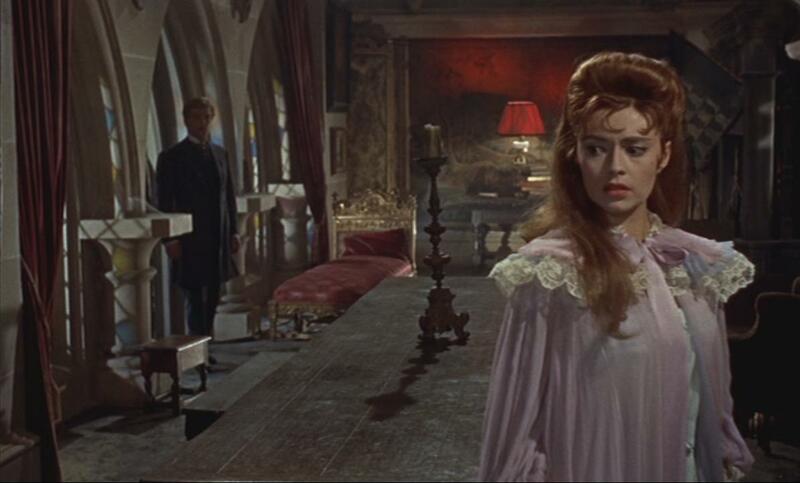 The film in question is Hammer's 1960 vampi-rama The Brides of Dracula, in which Peter Cushing picks up where the 1958 film left off and takes on a new vampire threat, none of whom are actually wed to the Count. The film primarily follows the exploits of a French babe schoolteacher named Marianne (played by Yvonne Monlaur, who is actually the daughter of a Russian count), who takes a job in the Transylvanian countryside (because, well, WHO WOULDN'T?) and ends up spending the night in a big old castle where a mother has her son chained up by the ankle. To some that might seem like a relatively normal night in Transylvania - I've seen enough horror flicks to know someone is always chained up to something - but the pure and innocent Marianne is pretty freaked out and this, along with the craziness of the house's servant (Freda Jackson, getting to play what's basically a female version of Renfield! ), convinces Marianne that she's safer booking it through the forest than staying the night. And that's when the hero returns in the form of Doctor Van Helsing, as played by the great Peter Cushing. 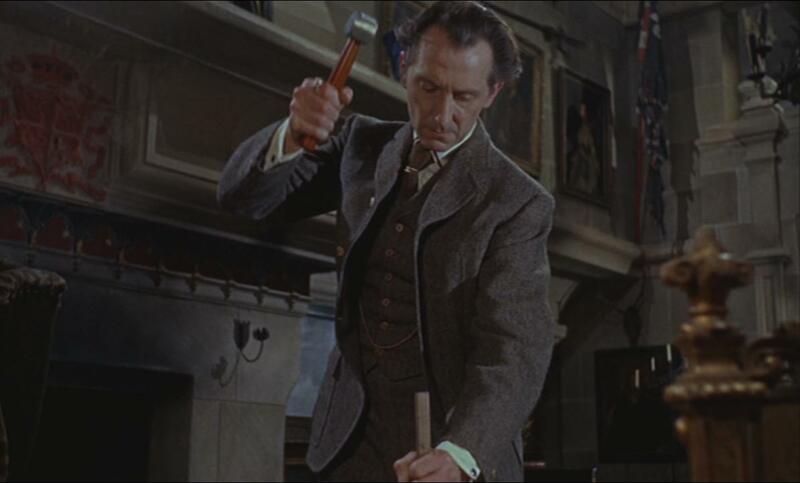 Cushing would play "Van Helsing" five times for Hammer, but it's worth noting that he actually portrayed three different characters in five different films in three different timelines during his time with Hammer. This is (at least in Hammer's universe) the only continuation of the "original" version of Cushing asVan Helsing, while his performances in the Dracula films of the 1970s are relatives of this character. So, next time someone tells you Cushing played Van Helsing five times, you can prove them wrong by saying he only played this Van Helsing twice. Isn't that a great feeling? Now back to the film, which strikes me as one of Hammer's more beautiful vampire films. The sets are pretty recognizable - we must remember that this was a relatively low budget studio and they did reuse plenty of their sets and props - but there's something vibrant and wonderful about their presentation by director Terence Fisher here. Horror of Dracula was not a dull film from a visual standpoint, but it seems Fisher attempted to cover up some of this film's issues with a little more color and a lot of feminine beauty. That's not a bad choice for a film that loses Christopher Lee and gains a looker like Monlaur, and the director's vision of the film helps The Brides of Dracula keep our attention for 85 minutes. 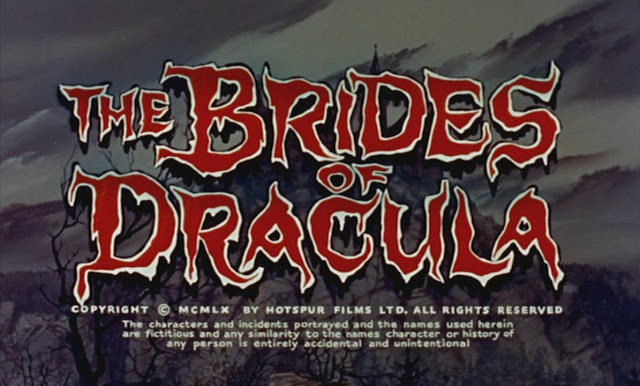 The tone of the film loses much of the romanticism that carried Hammer's first Dracula endeavor, and The Brides of Dracula certainly feels like a cheesy spin-off at times. 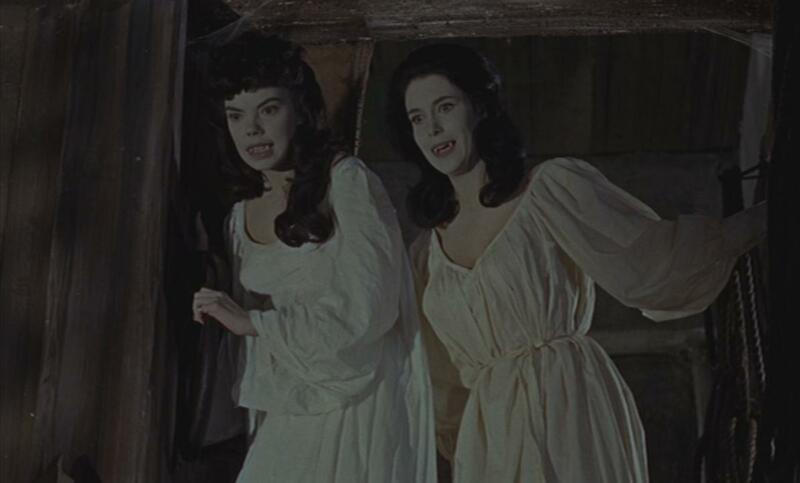 A few of the sequences with the vampire women - especially the ones in which they interact with Jackson's manic servant/familiar - play out in bizarre fashion, yet the film strides forward with confidence that the viewer will forgive some of the sillier bits. 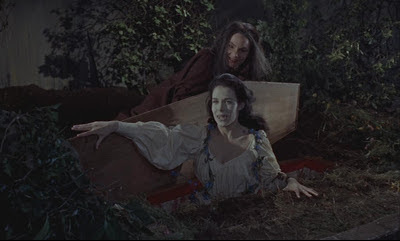 There are moments when the film could have lost me - like an unconventional scene in which Van Helsing deals with a bite wound to his own neck - but there's something to be said for this film's slightly random, slightly nightmarish approach to Marianne and Van Helsing's battle against evil. The Brides of Dracula isn't the most dramatic vampire film from Hammer studios, and it's not even close to being the most unique. But it's an abstract vampire tale that hits me as a perfect diversion, a new chapter in a familiar story that enhances my appreciation of Fisher as a filmmaker, Cushing as an actor, and the whole of Hammer Studios as a titan of terror. The Brides of Dracula is widely forgotten, but it deserves more attention for its place in horror history and its unique relationship to the studio's other Dracula films. A remake in name only of the John Cougar Mellencamp classic (OK, it's not related to the song, but you ALL were thinking it), Jack and Diane is one of those films that just left me shaking my head in confusion. That doesn't mean it's a bad movie, per say, it just means that it's one of those movies that made me stare at the screen and shout things like "WHO ARE YOU?" as I tried to figure out its intentions. The title characters, despite your preconceived notions, are two teenage girls who quickly and abruptly fall in love during late summer in the city. It's all well and good, except for the disapproving families and the fact that Diane is going away to school in two weeks and - oh yeah - the fact that Diane might also be a werewolf. Now, if you're like me, you just heard the word werewolf and got really excited. That happened to me when I heard about the movie, I admit it. There was a time and a place - probably Italy in the early '70s - when abstract and surreal lesbian werewolves were probably a thing. But this one is a far, far cry from what that movie would have been like, because this is actually just one of those teens who are hip and different movies that indie filmmakers love to make these days. Anyway, back to Jack and Diane, which the viewer will quickly realize is not really a werewolf film by werewolf film standards. It's a dramatic love story that does all those dramatic love story things - like making the characters madly in love even though they've said seven words to each other or showing how awkward it is for them to actually express themselves to their beloved even though they TOTALLY love them - while randomly flashing some genetic animations and some bloody noses and a few random attacks from a pop-up monster that never really matters in the plot. I'm probably being a little harsh as I lay this out there, but the folks that are reading this are generally the people like me who are going to jump at the word werewolf and get excited, but unfortunately for them this is a movie where you can't take the world werewolf literally. 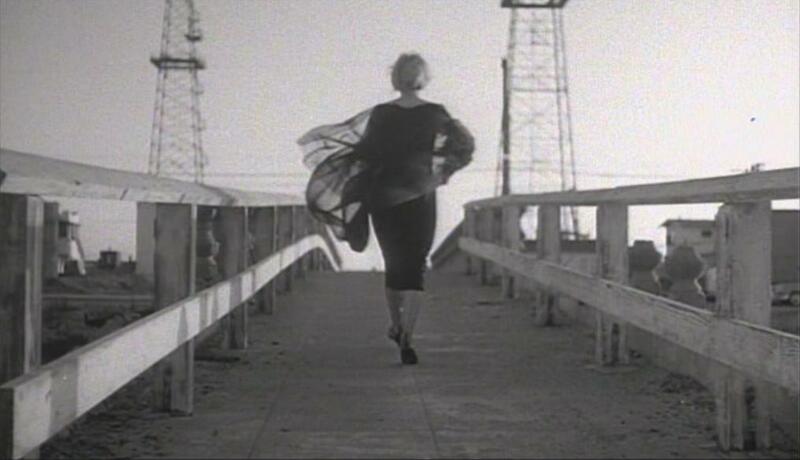 Now, of course, the movie's not bad just because it's a slow moving infatuation love story. Jack and Diane is kept afloat by a good performance by rising star Juno Temple - who rocked one out of the park when last seen in William Friedkin's bizarre Killer Joe - as the unsure and monstrously unstable Diane. She carries the film as she weighs her desires against her innocence, even if her beau - the tomboy Jack, as played by Riley Keough - is a little more difficult for the viewer to relate to. All of the supporting performances - including a sexually charged cameo by former pop star Kylie Minogue (hey, if my choices are "former pop star" or "co-star of Bio-Dome" I'm going to use the least offensive one) - aren't noteworthy, which probably helps bring out Temple's star more. Unfortunately, she can't carry the whole film to great heights on her own. Most disappointingly, Jack and Diane just never seems to muster up anything of importance in its plot or in its message. 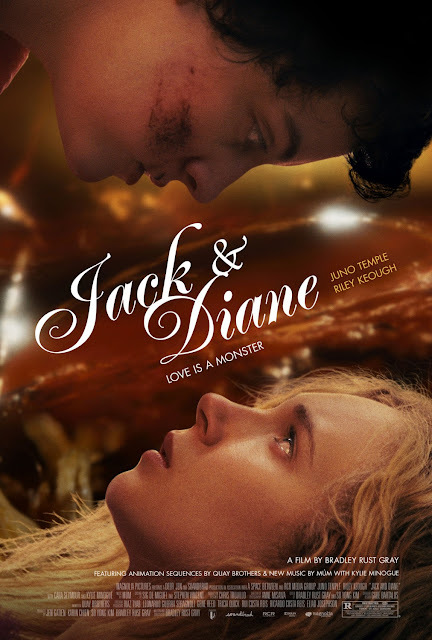 When you consider that the romance is as deep as a Twilight film and the monster metaphors are as hollow as a jack-o-lantern, you're left with the realization that Jack and Diane doesn't really muster up anything of relevance. A good lead performance, an adequate co-star, 12 seconds of monster action, and a hip indie soundtrack do not a movie make. Jack and Diane is an interesting failure - but it's a failure nonetheless. The last time I mentioned In the Mouth of Madness on this here site, I said something like "It's about time we recognize this as one of Carpenter's classics." I'm not sure I wasn't talking myself there. Carpenter's always been my favorite post-Hitchcock topic when it comes to genre cinema, and I've never denied the fact that this film is a fascinating piece of horror. But there's always been something about the film that's kept me from listing it alongside my favorite films by the director - and I have no idea what that something is or if that something should exist. So, since it was freakin' John Carpenter's BIRTHDAY(!) this week, let's investigate. Released in 1994, In the Mouth of Madness was only Carpenter's second film of the 1990s (following the studio misfire Memoirs of an Invisible Man) and is probably the last pure horror film Carpenter made until 2010's The Ward sixteen years later. And pure horror might be an understatement when it comes to In the Mouth of Madness, because the film manages to pay heed to the two most loved horror writers of all-time - H.P. Lovecraft and Stephen King - while creating an apocalyptic world that's all Carpenter's own. 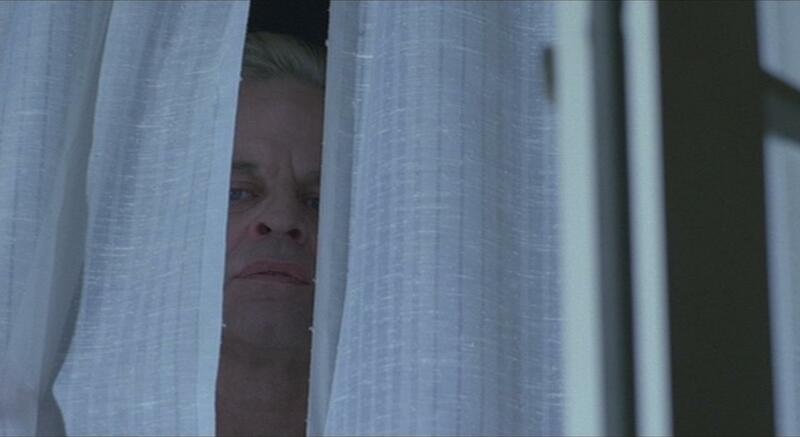 Sam Neill stars as a skeptical insurance investigator who's hired (by Charlton Heston, BTW) to look into the disappearance of horror author Sutter Cane, an enigmatic writer whose fiction has caused a bit of psychosis in his "less stable readers." His job leads him to the fictional small town Hobb's End, in which strange things like mutant killer children and tentacled beasts are only some of the tricks that Cane - played by Jurgen Prochnow - has up his sleeve. What follows is a lot of Neill screaming and a lot of bizarre special effects. And that sounds like it could be a bad thing, but it is completely not. This is one of the rare Carpenter films that doesn't have the director (or one of his pseudonyms) given a writing credit, but unlike Memoirs of an Invisible Man before it you can still feel the stamp of the director throughout the story. In fact, many have labeled this as the third installment in Carpenter's 'Apocalypse Trilogy' - following influence of The Thing and Prince of Darkness - thanks to the increasingly pessimistic tone of each film. Like the other two films, In the Mouth of Madness unleashes an evil force that can not easily be seen or classified; which is also a force of evil that has the power to take over the human mind. Many of Carpenter's earlier/great films hide their evils behind "things" - a gang, a shape, some fog, a car, etc. - but you could probably argue that this is his most abstract representation of evil outside of The Thing. 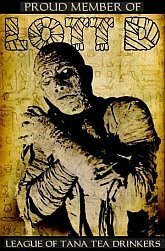 In fact, it's the film's willingness to shift through different visions of evil that is most fascinating to me. The first major madness in the film comes from an ax toting maniac (who we later find out was Cane's agent), but the film then seems to allow terror to seep into all areas if the main character's life. Throughout his wonderfully hammy performance, we see Neill deal with everything from zomified nightmares to visual and auditory hallucinations, consistently blurring the line between reality and what can only be described as Hell. There are some truly random moments - like one involving the color blue - that wouldn't work in a lesser film. But Carpenter's ability to tell a story and Neill's approach to the skeptic-driven-crazy role go a long way toward making the film feel so full of evil. There's a comic undertone throughout the film - supported by Neill's grandiose performance and the increasingly uncommon series of twists - that makes it hard to see In the Mouth of Madness as a truly "scary" piece of horror. If anything, the film's tone probably endears the film more to horror fans than anyone else because, like many other horror successes of the 1990s, the film is a horror movie about horror stories. I think the tone might be a big part of why I've never loved this film as much as I do The Thing (which never stops being serious for a second) or Prince of Darkness (which compliments its own wacky plot with a straight face that never wavers). And yet, every time I see the final scenes of In the Mouth of Madness I am reminded just how vast and terrible the film's idea would be in a real world society. No one will ever mistake this film for a cautionary tale about human horror, but a more open minded viewer who loves to speculate in "what if"s as much as the characters here do - should have a lot of fun with one of Carpenter's unsung successes. 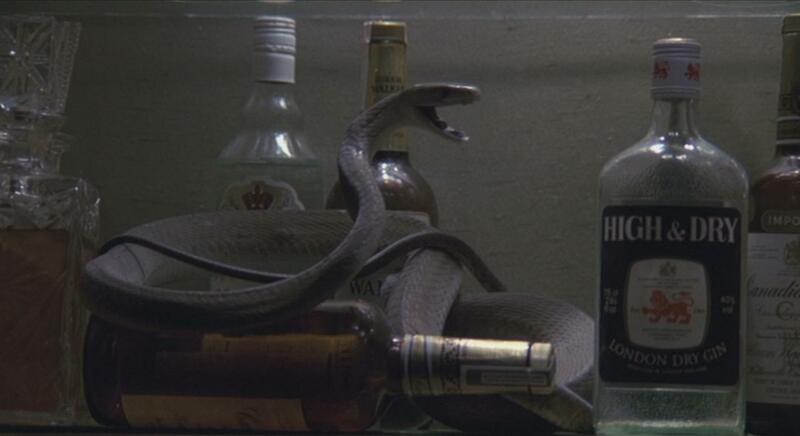 If you're like me, you've probably seen a lot of hammy performances in snake-centric horror movies. But there's a chance you haven't seen the most talented cast to ever ham their way through a snake flick, the cast assembled by maligned horror legend Tobe Hooper for Venom - a film that he quit directing early in production. So, we can add this one to the list of horror films that Hooper "kind of" directed, can't we? Pieced together by British director Piers Haggard in Hooper's absence, Venom is a film whose existence is completely bizarre. You can probably recognize that thanks to the premise, in which a bunch of kidnappers (Klaus Kinski, Susan George, and Oliver Reed) take a young boy as a hostage without knowing that the boy happens to be carrying a deadly Black Mamba snake. 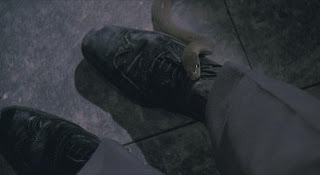 That snake is soon released into the house where they are holding said hostage, and that's just the icing on the cake for how weird this movie can be. 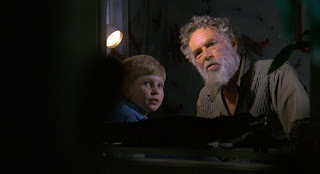 Also appearing in the film, in his final big screen role, is Sterling Hayden as the kidnapped boy's grandfather. Hayden, a veteran of no less than The Godfather and Dr. Strangelove (and Kubrick's The Killing, my personal favorite of his films), kind of looks like that grandpa from Silent Night, Deadly Night who ended up being the face of Chessmaster at this point in his career. Still, he's a good actor who adds a bit of pathos to the film while playing the "cool" grandpa to our animal loving kid. 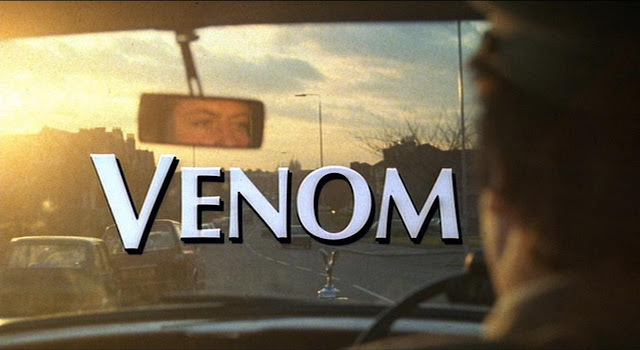 It's good to see him going toe to toe with the villains one last time; in fact, the film in general plays best when these powerful actors - also joined by Excalibur's Nicol Williamson as a police officer dealing with the kidnapping - are playing off each other. There's far more shouting than any movie deserves, and these actors seem to relish the opportunity to make the angriest kidnappers-and-a-snake movie of all-time. Venom is more of a curio than a classic, but fans of the actors involved and animals run amok films for grown ups of the late '70s should have a lot of fun with it. 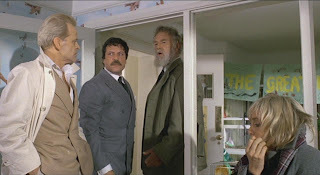 If nothing else, it's an excuse to consider what it would have been like if Kinski was Dustin Hoffman in Dog Day Afternoon - and to wonder if the bizarre German actor would have called that script bad names too. Venom is the kind of "big talent in a little movie" production that I just love, and despite some obvious flaws it's still a blast to watch. A bizarre mixture of gore and the supernatural, Crawlspace is a film that wants to be profound without ever stepping off the gas pedal. The film is packed full of screaming and gun shots and an oppressive musical score, and the whole thing just felt abrasive to me as it went on. This is a real shame, considering the film's intriguing set up. Crawlspace follows a group of soldiers who are sent in to a military base in the Australian desert, a base in which we find there are few survivors to be rescued and a mess of dead bodies in the (you guessed it) crawlspace between sciencey examination rooms. The most important of the survivors is (naturally) a woman, and we soon learn that she's got some unique powers that are more than meets the eye. Crawlspace taps into this and goes a little further, as the woman at the center of the plot - Eve, played by Amber Clayton - is capable of a little more than just clairvoyance. The most interesting parts of the film come in the final act as Eve's abilities are tested and challenged, both by the overseeing scientists and the crew of soldiers that have come to save them, particularly one man who she may or may not have had a previous relationship with. Clayton is a stand out when she's empowered in the role, and there are plenty of memorable moments dealing with her abilities as the film builds to its finale. Unfortunately, most everything else in the film feels muddled. The crew of soldiers seems like a direct photocopy of the kind of characters we've seen in plenty of films since Aliens, and the science side of the plot offers little of interest outside of the ideas regarding psychic warfare. The film is packed full of violence and there's rarely a lull in the action, but I got tired of this rather quickly. The film doesn't look like anything special either, with the crawlspace's lighting not creating any mood and some special effects failing to impress at all. 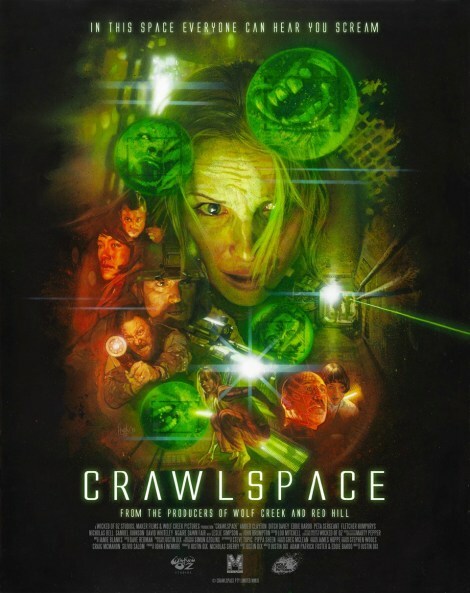 Crawlspace is a perfectly fine way to waste 90 minutes if you're looking for shouting, action, and a dose of science fiction, and I don't think the film does anything too poorly. But it also doesn't really seem to stand out much, aside from the few great moments in Clayton's performance. Crawlspace is a high concept genre hybrid that has plenty of great thoughts, I just wish it had done a little more with a few of them. Crawlspace is currently available on VOD and in select theaters via our friends over at IFC Midnight. Feel free to check out more about the film over at their site or on Facebook, and don't forget to check out the trailer below. There's no better way to start the new year than with a love story. At least, that's what I might say if I was the sentimental sort. Nah, the best way to start the new year in The Mike's world would primarily involve good football and good nachos. But I didn't have those this year, which brings us back to the love story. Don't worry Mom, it's not my love story. 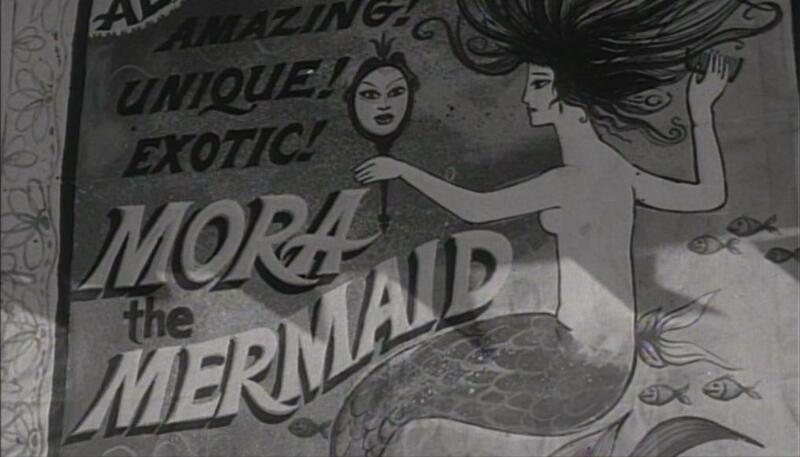 It's a love story between a young Dennis Hopper and a mermaid. Yes, you read that last sentence right. 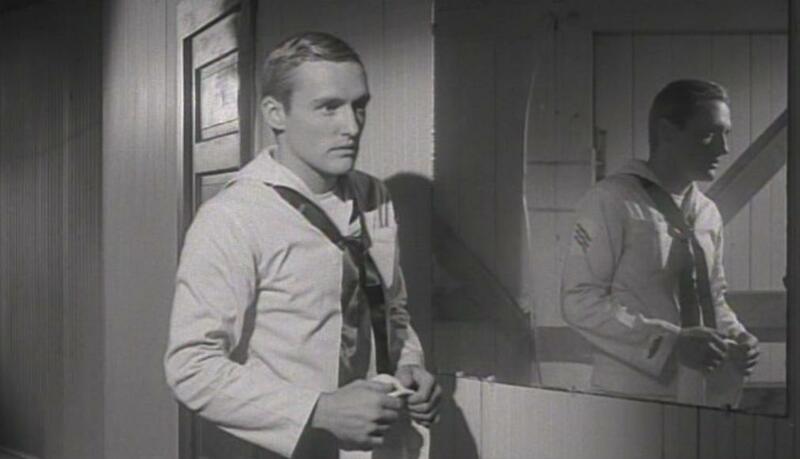 A young sailor played Dennis Hopper falls in love with a sideshow mermaid in Night Tide, a brooding and mysterious melodrama from 1961. Directed by Curtis Harrington, the film is a poetic black-and-white tale that feels a little like the original Carnival of Souls when it draws us into the quiet world of this lonely young soul. 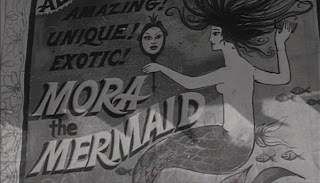 The film's setting also draws parallels to that horror classic - the love interest, Mora the Mermaid, lives in an apartment on top of a merry-go-round on the Santa Monica pier - but the tone of this film seems to be less aggressive than most horror films. You know how the mediums in horror movies always can feel whether or not a spirit is malevolent or benevolent? This movie's the benevolent one. Dennis Hopper wasn't quite the Dennis Hopper that movie buffs know and love yet - in fact, it would be a full TWENTY-FIVE YEARS before the role in Blue Velvet that he's probably most infamous for - and it's weird to see him as this young, normal, and (dare I say it) innocent man. Hopper had been around, on both the big and little screen, for almost a decade (most notably appearing in two of James Dean's three films in supporting roles) when he took the lead role here, but there still isn't a lot here that would make someone guess that he would become the scenery chewing force of nature that built his Hollywood legacy. But when you look at the film as someone who knows Dennis Hopper's later works, it's easy to see why he adds to this film as the lovestruck lead. The whole film has a kind of taboo feeling to it, and it's easy to see Dennis Hopper as the guy who might be vulnerable to the bizarre. Speaking of that bizarre plot, the film's story primarily deals with the young man's quest to determine if his love interest is our is not actually a mythical creature. As Hopper's character wanders around the film, we realize that the supporting characters seem to hold the keys to the film's mystery. They are led by the drunken captain who found Mora on a tropical island, a fortune teller who hangs out around the seaside carnival, and a mysterious woman in black who seems to haunt Mora and her new lover. The film is very meticulous as it shows us how each of these people may or may not have information on this mermaid woman, and each interaction between them and the sailor leaves us with questions about where the film will go next. I've mostly talked around Mora instead of about her thus far, which kind of sums up her role in the film. The character is played well by Linda Lawson, who manages to give Mora the exotic beauty that is advertised at her show while also getting us to buy in to the idea that she is a tortured soul. The first hour of the film doesn't offer a lot of actions that would make us worry about Mora or her suitor, but the actress' tone of voice and dream-like manner of moving through scenes - paired with a musical score that seems to bleed drama into the film - had me caught up in their tale from the start. The final half hour of the film ramps up the tension considerably, and it can be a little difficult to keep track of where the film is going. 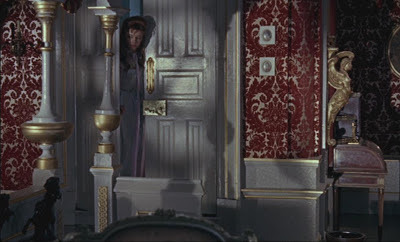 The plot's developments remind a little bit of Hitchcock - there are moments that could be seen as twists on Vertigo and Psycho here - but it's also clear that Harrington wanted to ground his film in a macabre place when he references Edgar Allan Poe with an on-screen passage. The film never reaches the heights that these two legends of storytelling did - few filmmakers ever have - but the mood still makes it a unique and captivating film. 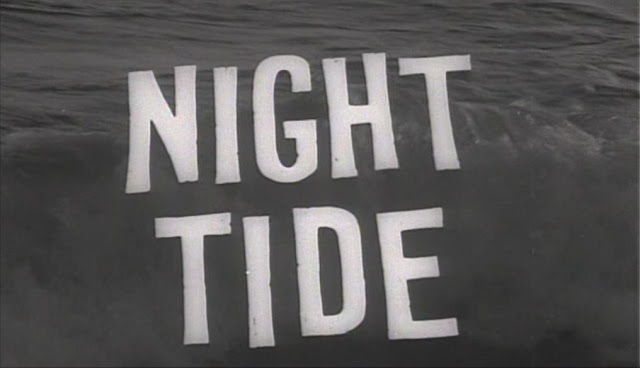 I find myself unable to look away from Night Tide, and I think any patient viewer with a taste for cinematic oddities will have the same excellent problem.